NOW YOU ALL KNOW THAT SH WILL BE IN OUR BLOG PAGE UNTIL FRIDAY.!!! AND HER REAL NAME IS TATIANA..!!!! LE and Antidote weird Changes!! New Male Dolls Coming-Tokio Hotel!! Christmas Spoilers and DKNY Interior UPDATE!! Dress in Spoilers- Reem Acra!!! First free gifts from Stardoll Royalty!! Some Clothes in the Spoilers...and more DOT!!! NEW DOLL - Ana Ivanovic!! Free Shorts and Gucci Bag!!! New Hot buys Vest for Non Superstars!! New Doll - Gemma Ward! And more Suite Shop Spoilers!! 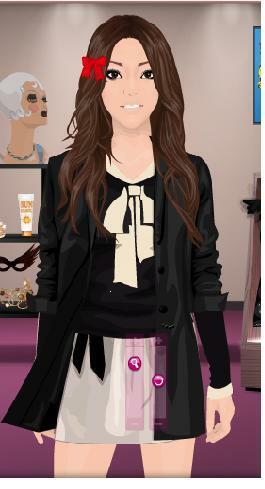 "Migliukee for Stardoll" - Not for Sale!! Tiger Outfit for your Eyepet!! Don't forget today about our contest!!! KOHL'S says HELLO to Christmas!! !